3 Ways to Get Out of Your Own Way and Create Big Ambitious Goals! I feel very fortunate to travel the world with my job (passion!) as a Presentation Coach and a Keynote speaker. Not only do I coach other entrepreneurs to be fearless speakers I also do it myself and I LOVE to speak on stage. I come alive when I’m on stage so it’s wonderful to have the opportunity to help you on your speaking journey and introduce you to wonderful experts who will inspire you to Present Your Power! One person who certainly presents her power is Missy Strasner. Missy is an Entrepreneur, International Life & Business Coach, Mentor & Influencer. She helps driven Entrepreneurs gain clarity, create a plan and generate more sales so they can create greater impact in the world and she also hosts a weekly online show called Living a Badass Life. I interviewed Missy for my latest radio show on the Voice America Empowerment channel and what I love about Missy is that she walks her talk. She’s fearless, she takes herself out of her comfort zone and she stretches and grows as a result of that. If Missy tells you to get out your own way and invest in personal training that will stretch you both mentally and financially, you can bet your bottom dollar that she’s doing exactly the same. She’s faced adversity and overcome many struggles in her life and now stands for people to be happy, successful and play big…to be the best they can be and have no regrets. In our interview Missy shared the importance of exercising your mindset, listening to influencers, watching videos, reading books, developing your mind so you’re ready to show up for other people and that in turn will lead to more money and success. 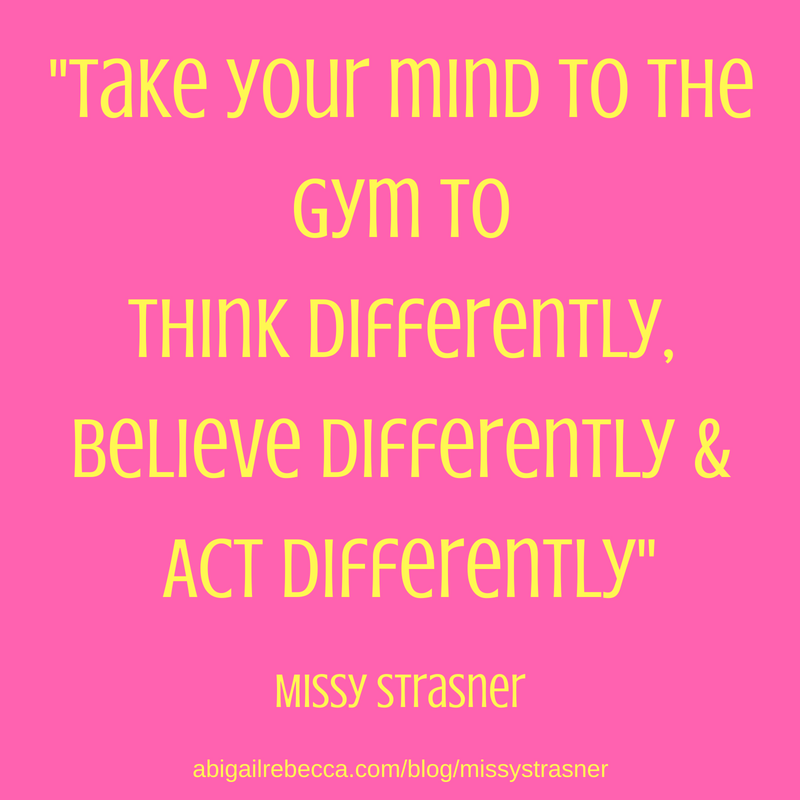 Missy was raised in a musical family and is a big advocate of using music to shift your mindset. I agree. That’s why I teach my clients to listen to music before they present…to get in the zone, feel powerful and knock that presentation out of the park. Missy loves empowering women, helping them get out of their own way but what does it take to be elite in business? Having people around you who influence your mind in a positive way is top on her priority list which is why she invests in high level coaching. "I got 3 clients in a week." "I was committed to the work, committed to myself and committed to my clients." As entrepreneurs, we’re so often in the energy of being busy but it’s important to step back and give ourselves the space to create. Missy thinks BIG and helps her clients think BIG. Here are 3 powerful questions you can ask yourself. How can I take responsibility for being stuck? Missy continues to engage, inspire and motivate on her weekly online show…Living the badass life. Her tips for being a powerful presenter? To hear more from Missy about how to get out of your own way and create big ambitious goals you can listen to her full interview HERE. Ready to Become an Awesome Speaker? Abigail Rebecca helps female entrepreneurs get over their fear of public speaking. As a Presentation Coach she helps them tap in to their power and break through their creative blocks to discover their unique presentation style and transform into fearless, authentic, fabulous presenters. She believes that every single one of us has the power to speak from our soul and has a fearless presenter inside, just waiting to come out and shine. She hosts her international live radio show every Tuesday at 8am PST on voiceamericaempowerment.com and often go back to her roots to present on stage as a motivational speaker. She lives in Brighton, UK with her partner Kev and their 1973 VW Campervan called Flossy. Can Yoga be as Lucrative as Banking?